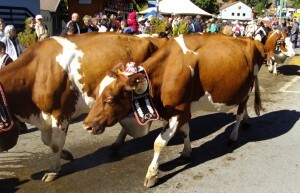 As summer draws to an end and autumn begins, it’s time for a unique event not to be missed in Switzerland: the Alpabzug or Désalpe, the Alpine procession of beautifully adorned cows making their way home for the winter, marking the end of grazing season. 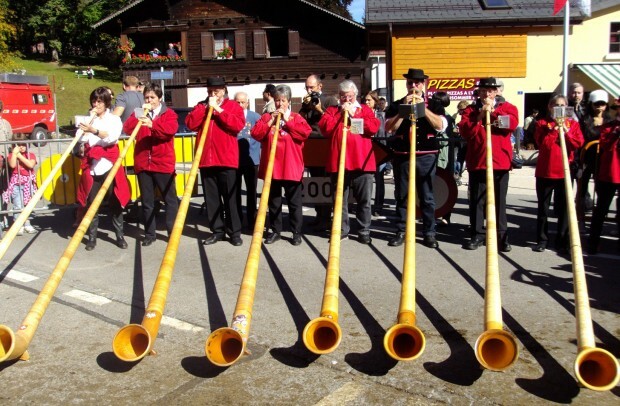 The most famous Alpabzug or Désalpe take place in the inner regions of German-speaking Switzerland or Valais (click here for dates), but if you’re in Geneva you can still have a taste of this unique traditional fest at the Désalpe de St-Cergue on the 27th of September 2014. The Désalpe de St-Cergue starts at 8.30am but, if you can, try to get there by 8am so you’ll be able to find a good parking spot (not too far away) and see the Alpine cattle descent from the start. 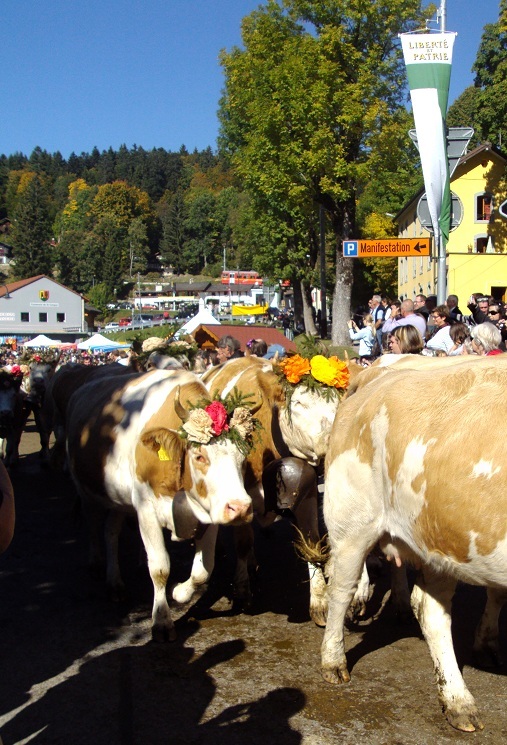 We went last year and had a great time: the kids were thrilled to see the cows’ parade, the gorgeous Saint Bernard puppies (all bedecked with colourful alpine wreaths) and we enjoyed a very traditional yodelling & alphorn session as well ! 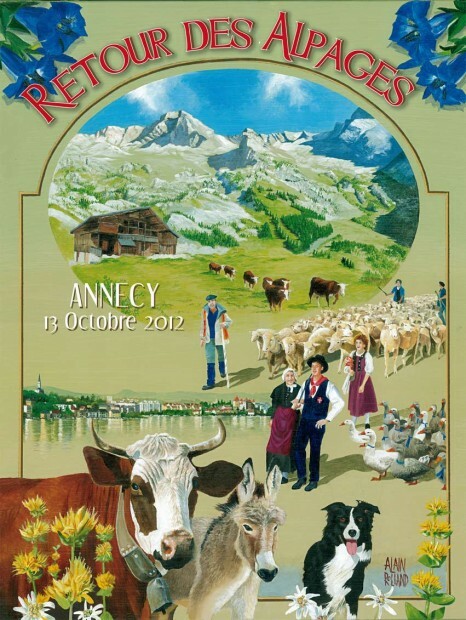 The “retour des Alpages” is celebrated in nearby Annecy as well on the 11th of October 2014 (from 2.30pm), another great chance if you miss the one in St Cergue. Remember to get there with plenty of time, as it gets very crowded, wear your wellies and leave the pushchair at home if you can! ← A Scary Night in Morges ! On the 29th, what time does it start? I tried looking at the poster but the start time is cut off.